Despite its status as a lower middle-income country with a GDP of $14 billion in 2015, the Republic of Congo has a low Human Development Index. Food production is below national requirements, with only 2 percent of arable land currently under cultivation. The Republic of Congo produces less than 30 percent of the country’s food needs and imports almost all of its food, leading to high food prices. Income is very unevenly distributed. Forty-eight percent of Congolese live on less than $1.25 a day. According to the Multiple Indicator Cluster Survey, there is a dire shortage of nutritious food, resulting in children suffering from acute malnutrition. Sixty-seven percent of children under age five are anemic. In children under age five, rates of severe acute malnutrition stand at 2.6 percent; global acute malnutrition at 8.2 percent; stunting at 21.2 percent; and underweight at 12.3 percent. The national HIV/AIDS prevalence is 3.2 percent. School meals – WFP is providing hot meals on school days to primary schoolchildren in rural areas. Over the next four years, the program will reach 132,500 students (50 percent of whom will be girls, and 12 percent indigenous) and promote home-grown school meals. WFP is working to build the Government’s capacity to take over the program at a later stage. Social safety net support for vulnerable households – The Government of Congo is developing a social safety net for its most vulnerable citizens that includes training and income-generating opportunities. WFP is supporting this initiative by providing a nutrition safety net to low-income households, in which at least one member is a person living with HIV/TB, and/or a pregnant or nursing woman. The current project phase—between 2015 and 2018—aims to reach 117,600 individuals in 19,600 households. WFP issues each household with a monthly voucher delivered via text message. The electronic funds are then exchanged for nutritious food at selected shops. In return, recipients living with HIV/TB must adhere to treatment; and pregnant or nursing women must have pre-natal/post-natal check-ups, and ensure that their children receive vaccinations and monthly growth assessments. Nutrition support – People living with HIV/TB who are assisted under the safety net voucher scheme also receive specialized nutritious foods to help them adhere better to their respective medical treatments. In the Lékoumou department, the chronic malnutrition rate is 38.6 percent. Here, WFP, in coordination with UNICEF, will launch a pilot program providing specialized nutritious foods to 10,000 pregnant or lactating women, and 10,000 children. Women will receive micronutrient supplement tablets for 12 months; children will receive a lipid-based nutrient supplement aged 6 months to 24 months. 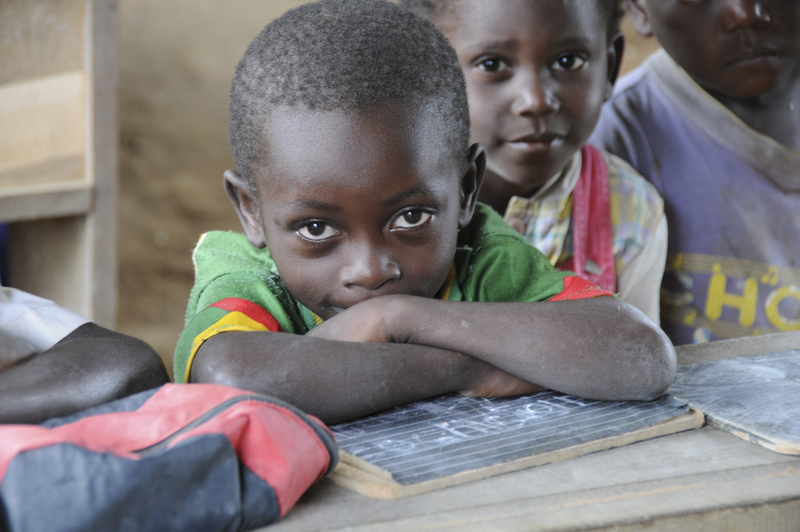 Strengthening disaster and risk management – WFP is providing the Congolese Government with technical assistance to strengthen national risk management capabilities, reduce vulnerability to natural and anthropogenic disasters, and promote climate change adaptation. The UN agency is also providing tools for early warning, contingency planning and risk analysis, through trainings and crisis simulation exercises. Food assistance to refugees – WFP is providing food assistance to the remaining 12,000 refugees from the Democratic Republic of the Congo, and to 21,000 refugees from the Central African Republic. These programs aim to improve food security and enhance resilience to shocks among the refugee populations.